Making your own chenille fabric has never been easier! Designed for both right- and left-handed use, the revolutionary Chenille Cutter cuts multiple layers of fabric, as well as paper, cardstock, photographs, felt, fleece! Features 4 channel guide sizes for narrow to wide widths, and 24 new exposed blade edges all with one click. The UltraSharp black, double-honed blade is never exposed for extra safety during cutting. Foot protects cutting surface from damage. 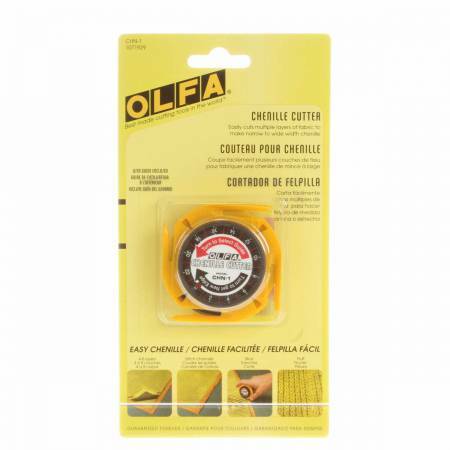 Uses only Chenille Cutter UltraSharp black replacement blade (CHB60-1).